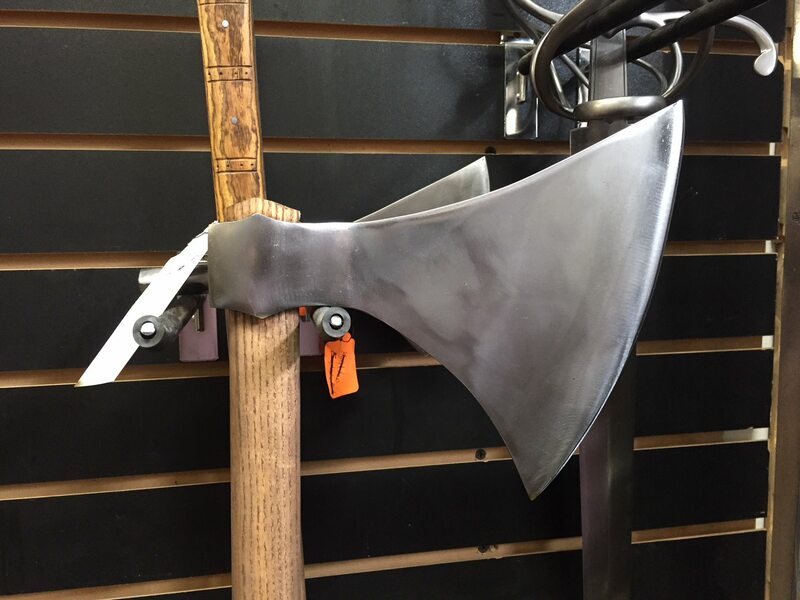 So I've been wanting a Dane axe for a while and I wanted a little something different but still accurate to the time period so I talked to Craig at A&A about doing a dane axe but not a type M but a type L. I had him make the cutting edge 9.25 inch and had him make the top of the axe dip some and come up to create that type L point. I haven't received the axe yet but he did send me a photo of it waiting to be confirmed that I liked the looks of it. I also had him make me a type L hand axe as well. What do you guys think of the photo? Don't know much about axes but I think it looks pretty slick. I agree with Joe. That’s a slick looking piece! I like it when I get to see a different angle on something I’ve seen many times previous. Awesome!!! I've been thinking of ordering the same style of ax from them for a while now! I absolutely love type L heads. Please let us know how it performs and handles when you get it!